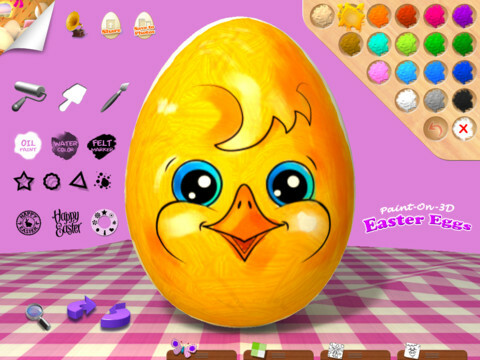 Why Wait For The Easter Bunny When You Have Paint-On-3D Easter Eggs For iPad? Did you hear about the public Easter egg hunt in Colorado that was canceled this year because of bad behavior on the part of the young participants' pushy parents last year? The parents were reportedly so eager to help their kids score eggs that they themselves entered the area designated for the children-only event. Well, I'll tell you what Easter-themed affair you can be overzealous about without running the risk of having it canceled. It's helping your kids paint Easter eggs right on your iPad with the recently updated Paint-On-3D Easter Eggs app. 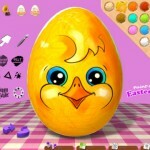 Made by the husband and wife team behind independent developer Operatio, Paint-On-3D Easter Eggs for iPad lets you and your young children create colorful virtual Easter eggs. The app is specially made for the popular Nomad Brush stylus for precise brushstrokes, but it's perfectly fine to finger-paint on the app without a brush. You can get creative with your kids as you work towards making Easter egg masterpieces with the app's different brush types, coloring templates, 3D collage dress-up objects, and paint effects, some of which have just been added with the latest app update. Once you're finished adding color and personality to an egg, you can showcase it in an automatically generated Easter card and send it to your friends and family via email right within the app. The app currently doesn't support any form of social media integration, so you have to first save an Easter card to your iPad's photo library before you can manually share it online. 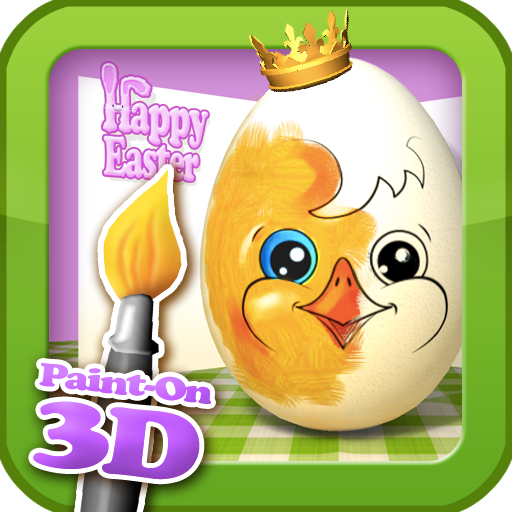 Paint-On-3D Easter Eggs is available in the App Store for $0.99. Get it now and get cracking with your kids in time for Easter Day next Sunday.